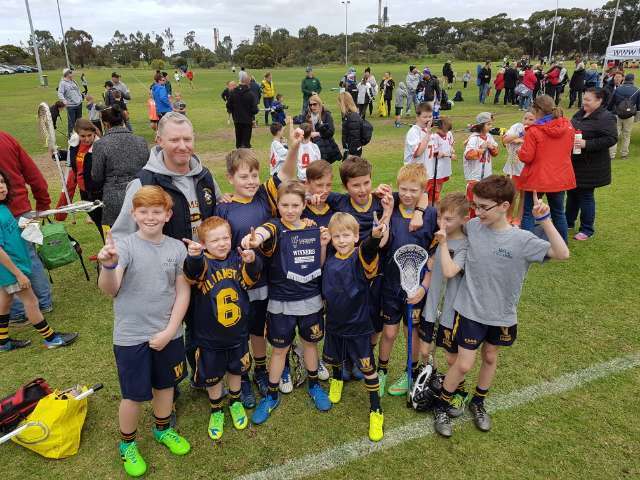 We entered our 3 U 11 teams in the Mid season Lightning Premiership and all reports indicate a fun morning had by all with the mighty Deacons winning the Kangaroo Division of the competition. Well done to all who participated and officiated on the day. The WLC committee at it's June meeting endorsed the club's Child Safety Policy & Code Of Conduct. Congratulations to Alex Pike, Noah Jenney, Sean Clarke and Wayne Butson (Manager) for being part of the victorious Victorian side at the recent Senior National Championships in Adelaide over the Queen's Birthday weekend. Well Done guys. The altogether night is made up of the Juniors and Seniors as a club who all train together as a group. The State League guys organise all the groups, drills etc. Training for the kids will be followed with a BBQ. and drink. At the Fearon on Saturday 1st July from 1:30 to 2:45. We play Footscray in both DIv 3 (12:45) and State League (2:45). Click here to see a list of current members and details of the 100 Club. We now have 46 members. Thanks everyone. This year the Club's annual fundraiser will be held on Saturday 22nd July. 7 pm to 11 pm. Tickets are $60 per double and can be purchased from the club or ring Sean Clarke (0422109667). Included in entry is a ticket in the $1000 reverse draw, dinner and beer, wine or soft drinls for two people.